Are there any more Metropolitan Drinking Fountain and Cattle Trough Association cattle troughs in the London Borough of Southwark? If you know of any other cattle troughs in Southwark please send me details. In July 1874 a 6ft 6in trough  was erected on Crystal Palace Parade at the junction of Sydenham Hill and West Hill. This trough may have been removed in 1959. 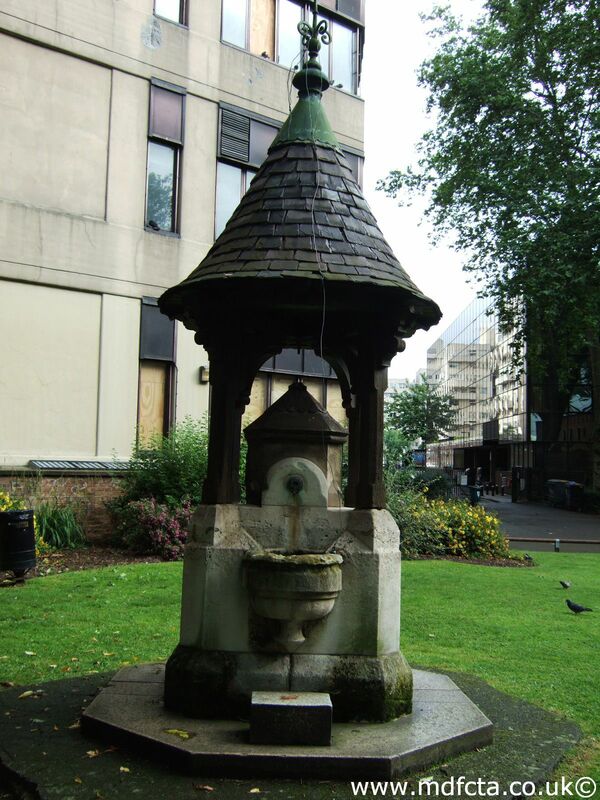 In July 1896 an 18ft trough  was erected at the junction of Fair Street & Tooley Street. On 29-Nov-1928 another two 18ft troughs [2390 & 2391] were erected at the junction of Fair Street & Tooley Street. These may have been demolished in 1954. In May 1881 an 18ft trough  was erected at Rotherhithe at the corner of Neptune Street. The gift of a Mrs. Ellis. In 1902 an 18ft trough  was erected at the Southern Approach to Tower Bridge. It was paid for by Mrs Streatfield with a inscription "In memory of Hugh Taylor died November 1900. Be merciful to Gods creatures". This trough may have been removed in 1959. On 6 February 1948 a 9ft 6in trough  was erected at the junction of Paradise Street & Lower Road. The gift of the late Mrs S Dixon-Davies. This trough may have been removed in 1959. 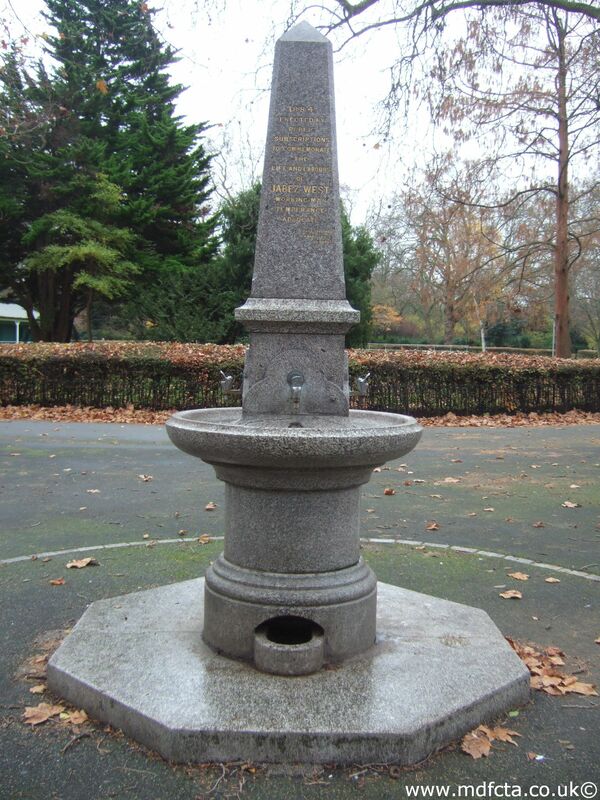 In 1902 a 9ft 6in trough  was erected at Alleyn Park at the junction of Park Road and Acia Grove with the inscription: “Be kind and merciful to your animals”. On 14 September 1911 a 9ft 6in trough  was erected at the junction of Alleyn Road and South Croydon. This trough was previously on Hampstead Heath. It was presented by Lady Banbury. 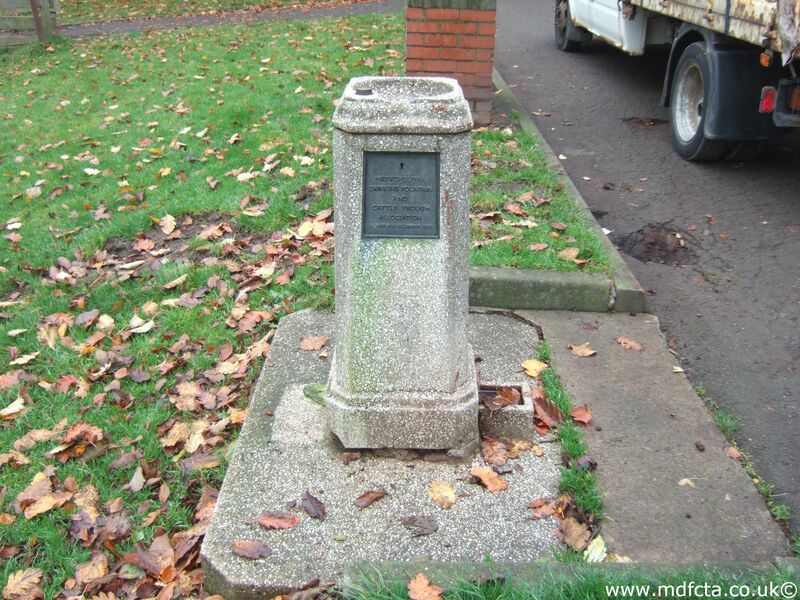 On 27 November 1928 a 6ft 6in trough  was erected at Crystal Palace Parade (old bus shelter) in replacement for an 18ft granite trough from a site nearby. This replacement trough may have been removed in 1959. In August 1901 a 9ft 6in trough  was erected at Evelina Road at the junction of Gibbens Road. This trough may have been removed in 1959. In August 1901 a 9ft 6in trough  was erected at junction of Lordship Lane and Peckham Road (Goose Green). This trough may have been removed in 1953. In June 1878 an 18ft trough  was erected on the Old Kent Road near Whitepost Lane. This trough may have been removed in 1959. 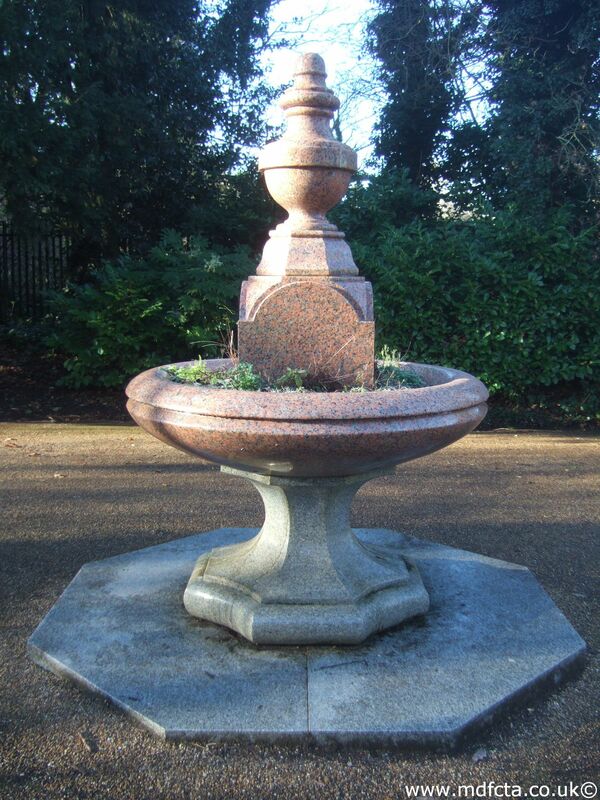 In February 1882 a 9ft 6in trough  was erected at the end of Peckham Rye facing Rye Lane. The gift of Mr. Trotter. In June 1901 a 9ft 6in trough  was erected at the junction of Red Post Hill & High Street, Dulwich. This may have been removed in 1959. In July 1975 a 9ft 6in trough  was erected at Station Road, Camberwell New Road. This may have been removed in 1960. On 10 August 1945 a 9ft 6in trough  was erected on Peckham Rye. On 15 September 1949 a 6ft 6in trough  was erected at Medlar Street Stables, Camberwell. This may have been moved to the South Ida Home for donkeys and horses. 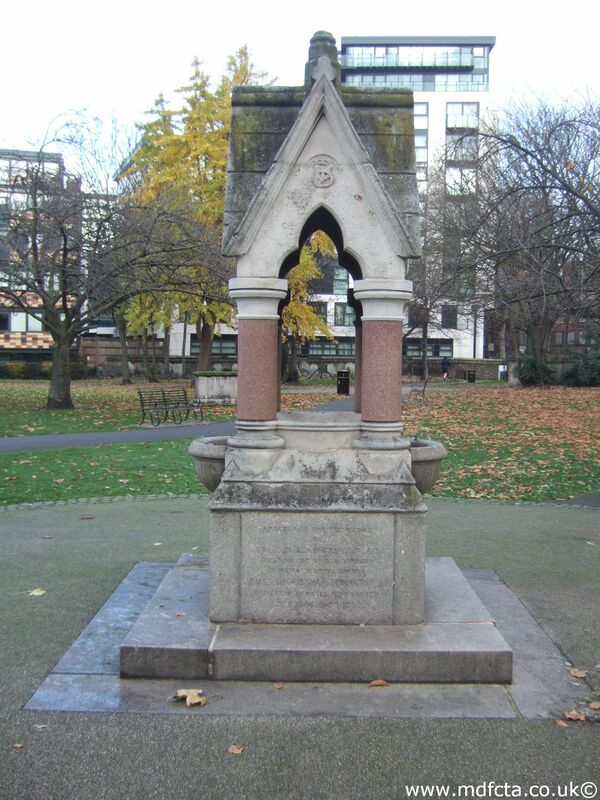 In June 1889 a 9ft 6in trough  was erected at the corner of Southwark Street and Holland Street. The cost was defrayed by Mr John collison. 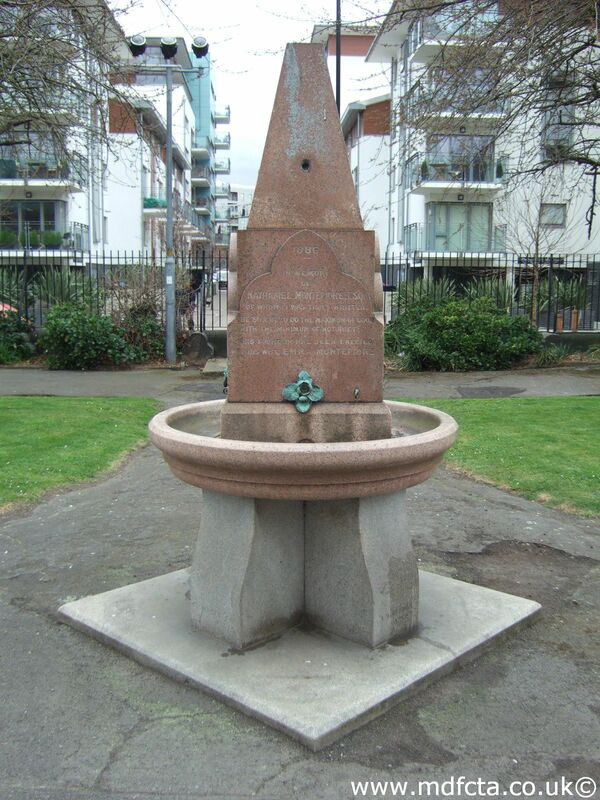 In July 1896 a 9ft 6in trough  was erected at St. George’s Circus, Southwark near the Eye Hospital. 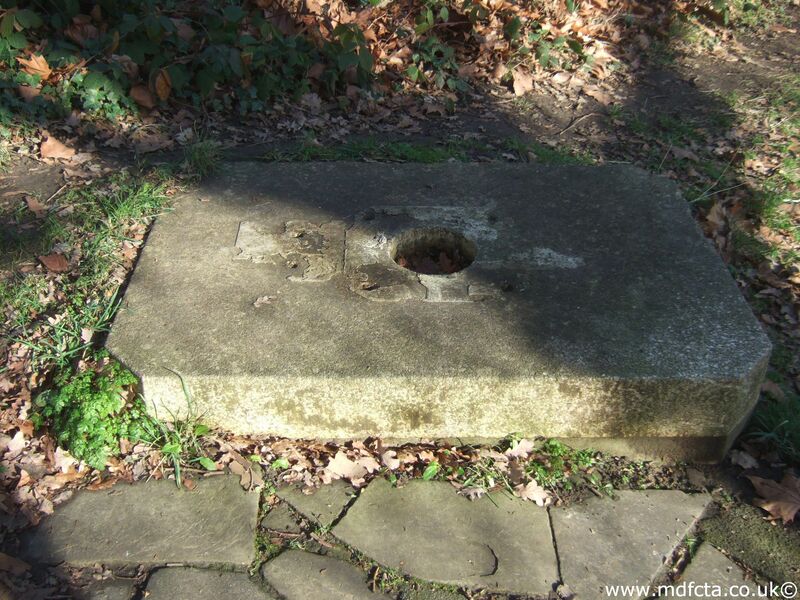 An MDFCTA trough may have been moved to a lay-by next to Old College Gate, Dulwich Park by the Dulwich Society. An MDFCTA trough may have been moved to Blackie, Manufacturing dentists, Pomeroy Street, S.E.14. 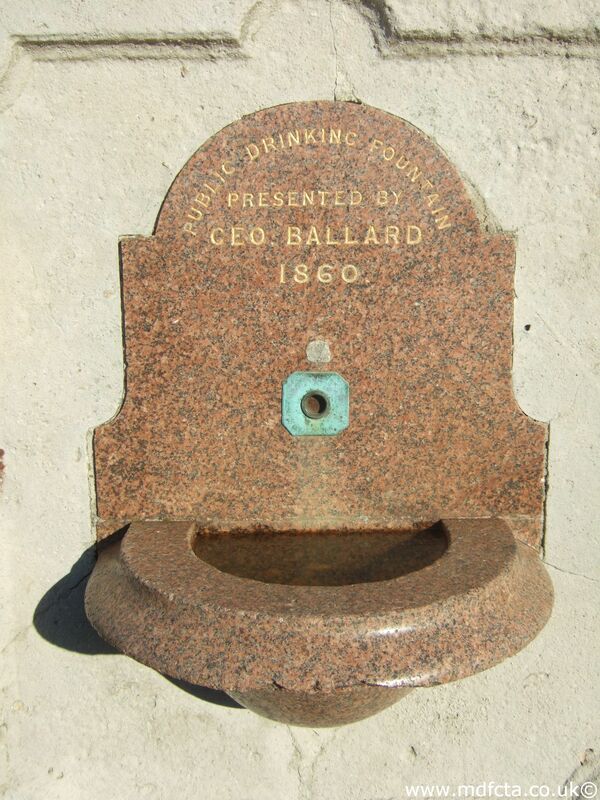 Are there any more Metropolitan Drinking Fountain and Cattle Trough Association drinking fountains in the London Borough of Southwark? 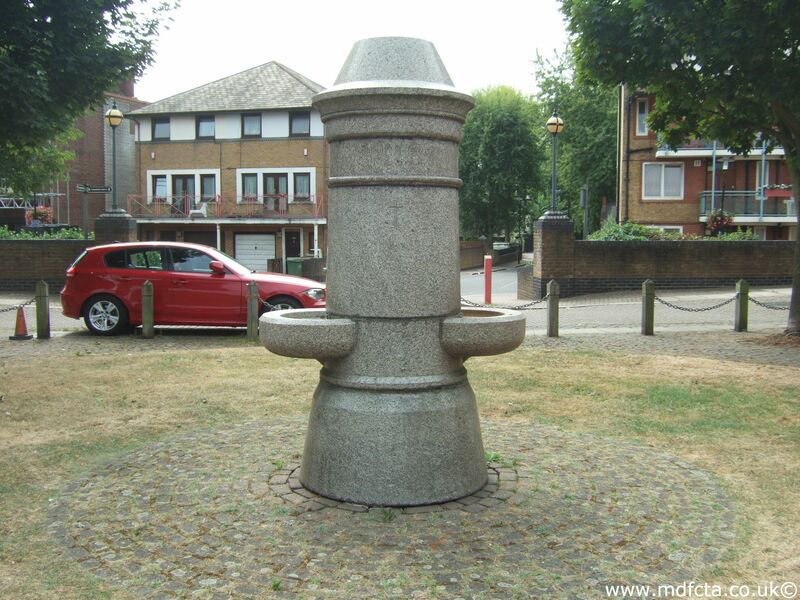 If you know of any other drinking fountains in Southwark please send me details.